New Team Tournament: Rally Your Friends and Fight For Honor! It's not so hard to slay monsters sometimes, comparing to the continuous and breathtaking fight against rivals. 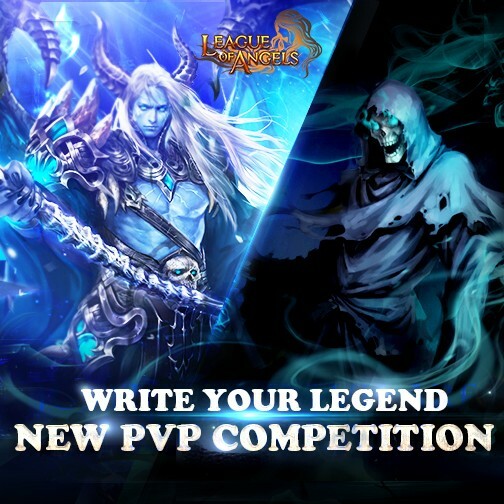 Team up to take part in League of Angel's New Team Tournament! 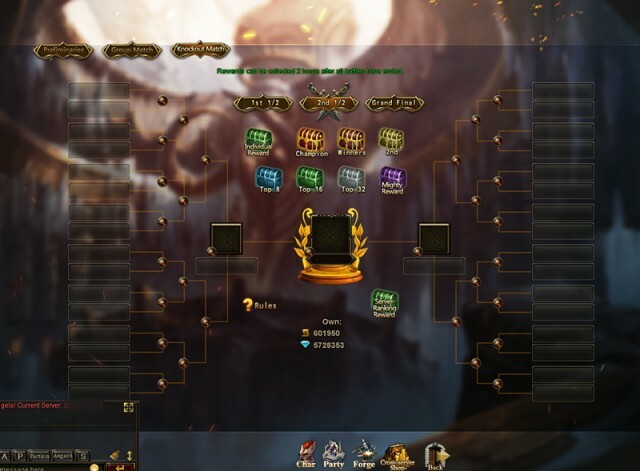 During the 7-day competition, the elite teams from all the servers will compete for the championship and win great rewards! 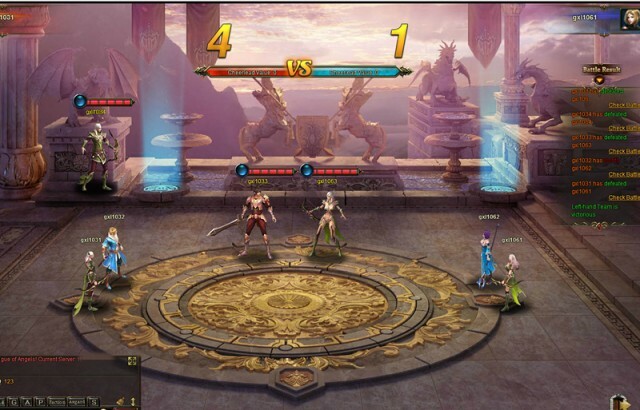 Note: The first New Team Tournament will open on September 11th (server time) for HKT servers ONLY! We'll keep you updated with more tournament news on our Facebook fan page and official forum. Make sure that you join in New Team Tournament on time, please check the event schedule below. 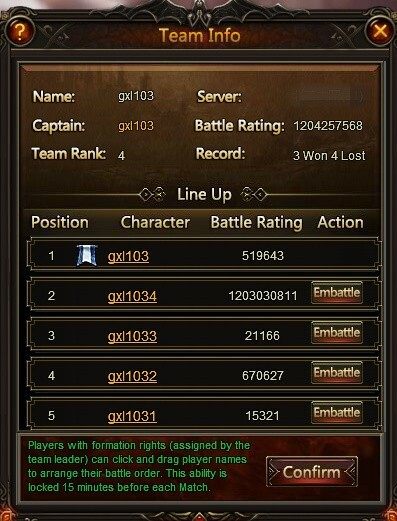 Players Level 50 and above can create teams with the leader being able to disband their team at will during the sign-up phase (on Day 1 and Day 2). From 10 P.M. to midnight players cannot disband or leave teams, they can only create and join teams. After registration has ended, the system will choose the 12 teams of 5 players that have the highest battle rating to enter the preliminaries. Friendly reminder: Different PK requirements will affect the tournament when players are fighting against each other in the coming Group Match. It's wise of you to arrange the team members and squads accordingly. 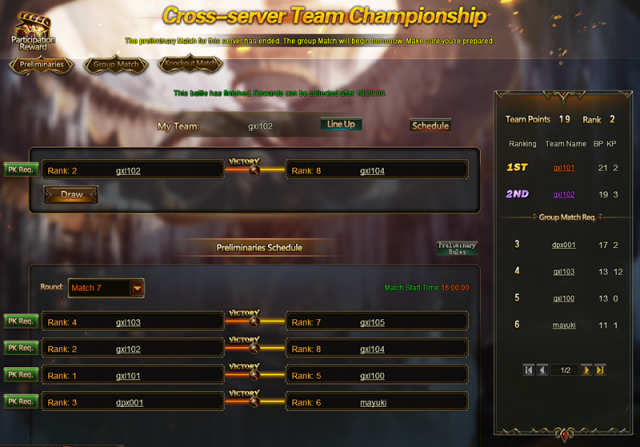 The top 2 point leading teams from each server will be eligible to enter the Cross-server Group Match. 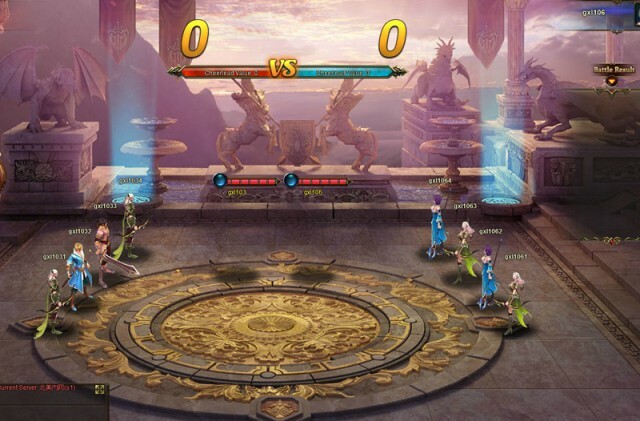 The leader of each team will send one player at a time to fight. 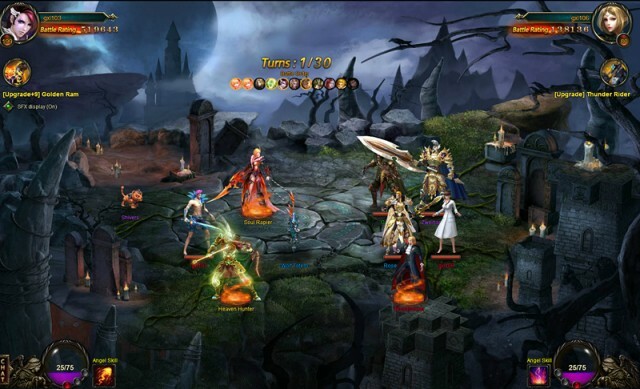 The team scores 1 point once the opponent is defeated or the countdown is over in one turn. 1 point is awarded for the winner and zero for the loss. The team that scores more points out of 5 rounds wins. The top 4 teams from each group will qualify for the finals. After two knockout rounds, the final 16 teams will compete using a best of three system. 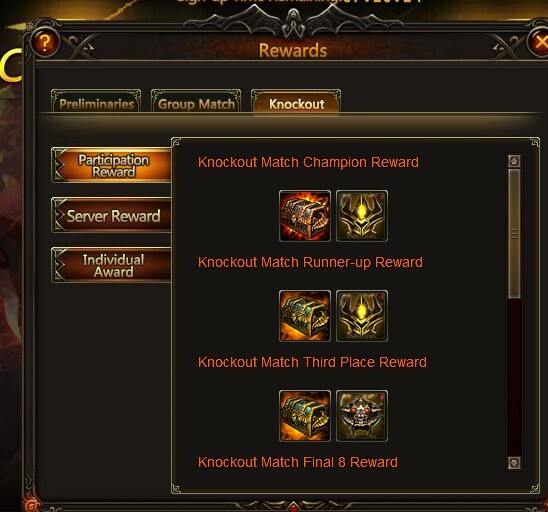 Players are able to claim rewards during Preliminaries, Group Match and Knockout, which include Participation Reward, Server Reward and Individual Award. In a word, there are many chances to win a reward if you join the tournament! Next: Champion Showdown: Get Prepared for the Firece Battle!